Find out more about June and Day in this never-before-seen glimpse into their daily lives before they met in Marie Lu's New York Times bestselling LEGEND series. As twelve-year-olds struggling to survive in two very different worlds within the Republic's stronghold, June was starting her first day of school at Drake University as the youngest cadet ever admitted, and Day was fighting for food on the streets of the Lake sector. 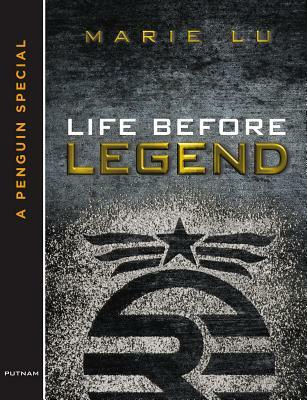 LIFE BEFORE LEGEND contains two original stories written by Marie Lu that give readers a sneak peek into the lives of their favorite characters in a thrilling new context.